'Tis the season for trying to find that special someone something special. 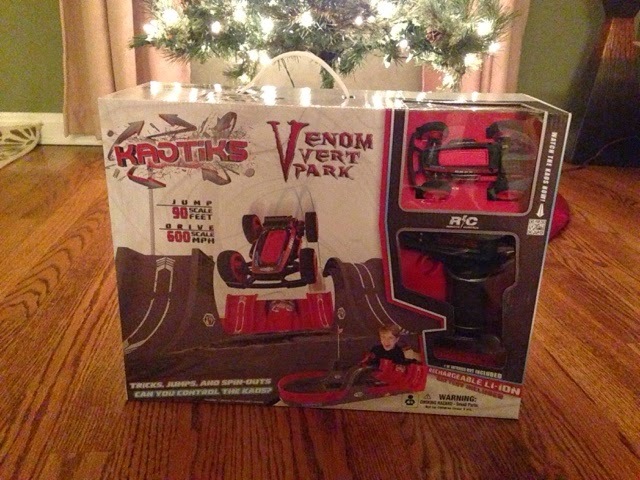 If you like unique and exciting gifts, and have any kids on your Christmas list, you should check out this rad, Kaotiks race car, made in Saint Louis. When my friend who works for the company asked if she could send it to us to blog about, we said we would be happy to. So without further ado, we give you, our little review. 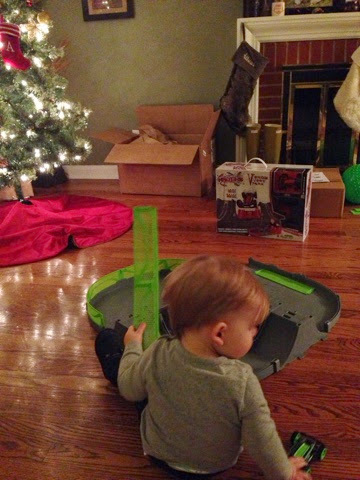 The car is able to do impressive tricks with the use of a remote control. Check out their website for tips on performing stunts, and this video showing some of the action. Assembly is required & relatively easy. Connecting the track pieces was like snapping together a simple puzzle. 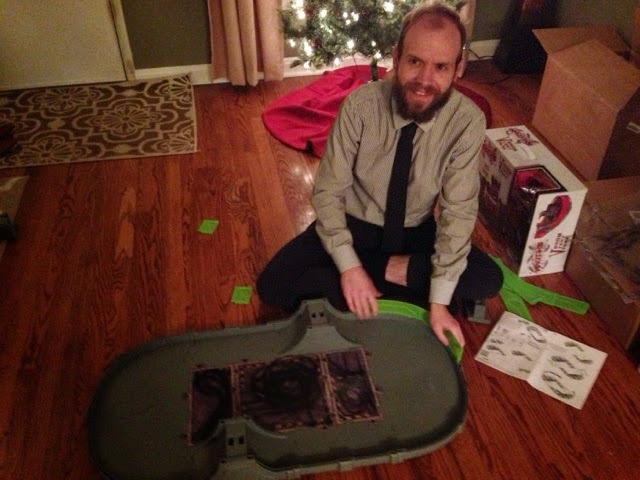 I was able to put it together by myself (without looking at the directions). My husband took over the assembly when he got home, and it was just as easy for him.